I enjoy a good pumpkin dessert as well as the next person (I've been baking this one several times each fall for years), but geez, people! Do pumpkins have to get all the credit? Every August I roll my eyes when I'm still drowning in humidity and Starbucks is announcing the PSL has been released early. I roll them again the Monday after Labor Day when it's still 90+ out but women determined to summon fall temperatures are shopping for pumpkin spice flavored yogurt, cereal, gum, and...laundry detergent? All while bundled up in sweaters and Uggs. Why!? I'm here to speak up for fall's underdog and my personal favorite: the apple. More specifically, the yummy cider that it produces. Meander around blog land for a moment and you're sure to be pummeled with fall bucket lists that have to do with pumpkin, pumpkin, a leaf pile, and some more pumpkin. Apples might get some love with "go apple picking" (admittedly I still want to do this, we were rained out last year when we tried), but they clearly deserve more fall real estate. I love the craft beverage movement. While I don't enjoy beer and I'm still quite picky when it comes to wine, I do love a good cider, and craft cideries are popping up more frequently which made for the perfect fall date this weekend: one gorgeous Saturday and two fall cideries within an hour's drive from our home (and there are plenty more to look into!). 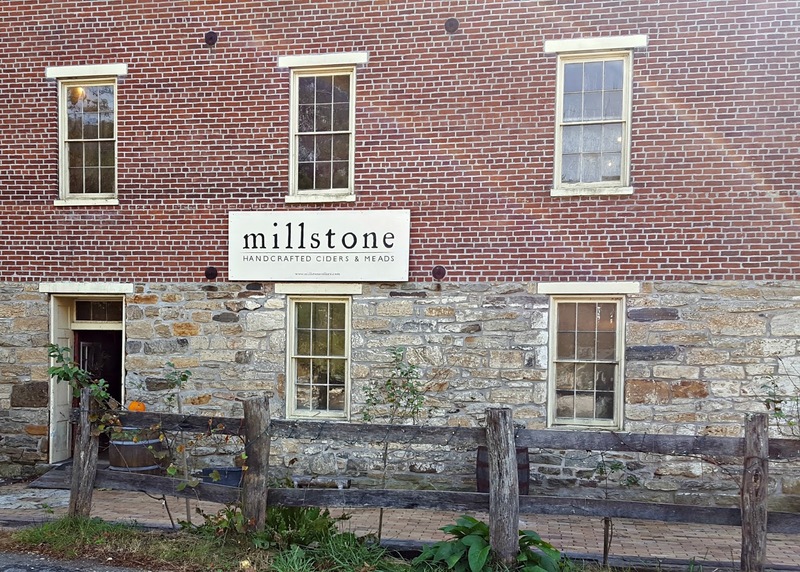 We began with Millstone Cellars, a small American farmhouse cidery north of Baltimore that we initially discovered at a local farmer's market. Don't let the small stone building fool you: the rustic facility is actually huge with many floors to explore including a gorgeous barn-turned-tasting room that had me telling Sean I wanted us to remarry just so we could have our wedding there. Millstone ciders (and meads) are cloudy as they bottle their product with no sulfites or pasteurization, literally delivering fermented beverages from barrel to bottle. Just look at those gorgeous open-air windows! We then continued north into Pennsylvanis for our second stop, Wyndridge Farms. We happened to be at our local liquor store one day last year when they were offering a tasting and I became hooked on their Crafty Cranberry cider. 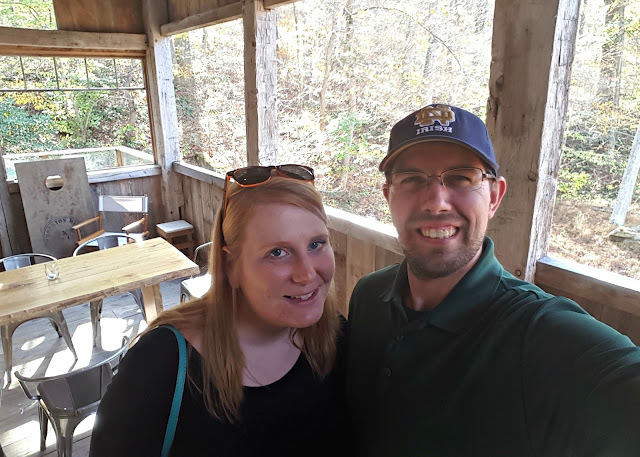 An Instagram follower clued me in to the fact that Wyndridge's farm was both local and gorgeous, so of course a visit and tour was in order! Everything was gorgeous as promised, but photos were few as there was a wedding that day (and every Friday/Saturday/Sunday in October and November—Wyndridge has become quite the popular wedding destination for a new kid in town). Wyndridge had a very modern and almost corporate feel. Everything was shiny, new, and meticulously branded. I've been on a few brewery tours with Sean in the past and was stunned that the beverage making and bottling process at Wyndridge all happened in the same room. 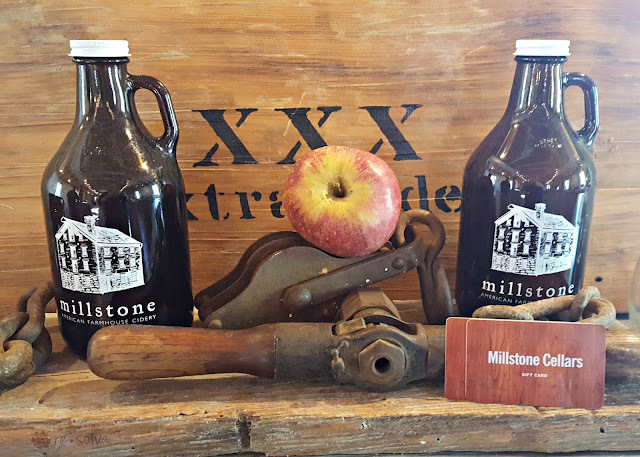 In contrast to Millstone, The ciders are pasteurized and filtered for clarity like most product you would find in stores. 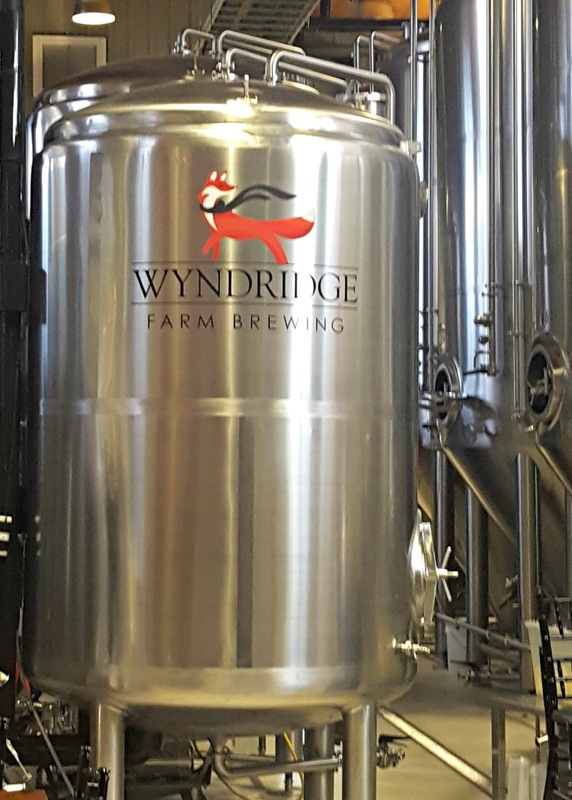 In addition to ciders, Wyndridge produces their own beer, wine, and craft soda (you can sample any drinks in their onsite bar and restaurant). They have a permanent beverage line-up which you can find in stores as well as various rotating small batches which they serve in their bar/restaurant. 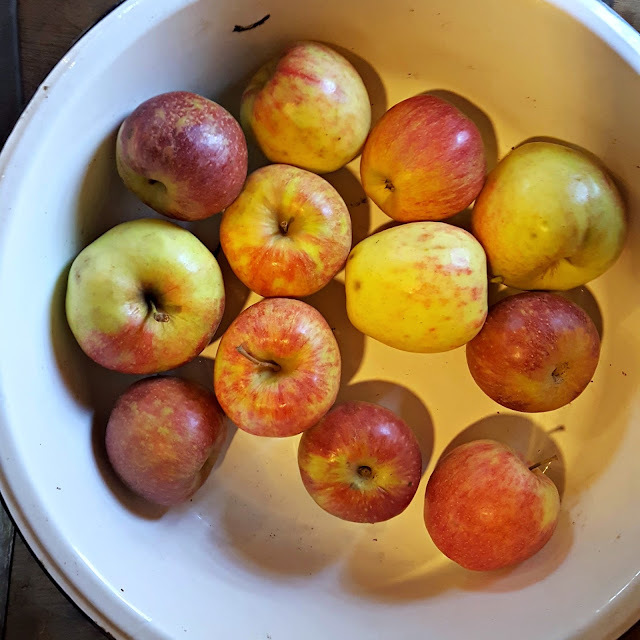 I discovered two new favorite ciders only to be devastated when I realized they weren't a bottled product I could take with me (growlers are available, but we didn't think to bring any and I refuse to allow any new ones into our house). 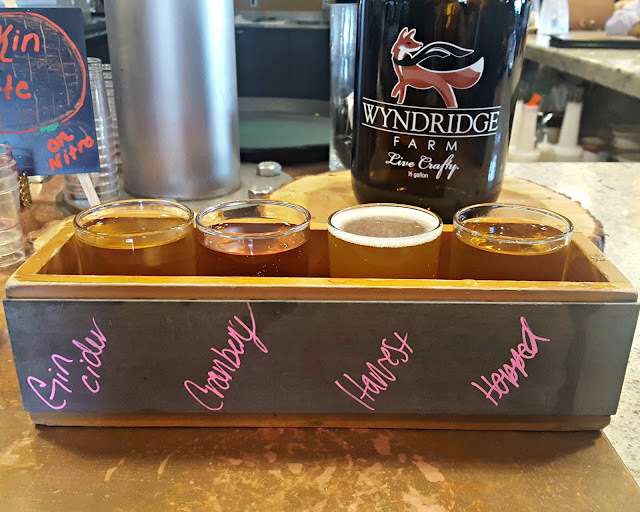 Love that you can mix and match beer and cider in flights at Wyndridge! We had a blast touring and tasting at both facilities, and I loved that we did two in the same day. Seeing how different Millstone and Wyndridge are made the experience a lot more interesting. One isn't better than the other; they simply offer distinctly different products that are all a matter of personal taste. 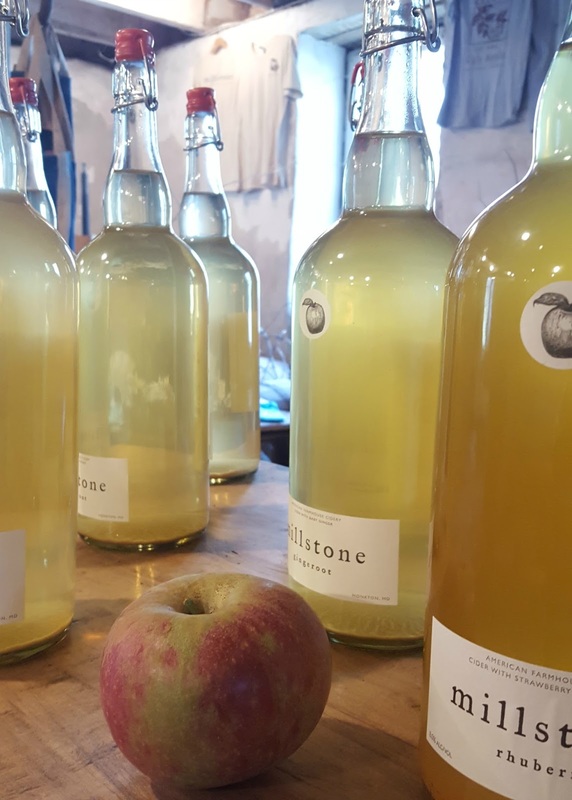 Arsenal Cider House & Wine Cellar . I swear the first part of your post is like you pulled it right out my brain. I can't stand all the pumpkin stuff, I don't like beer and I'm super picky when it comes to wine, give me hard cider any day! It's growing here in the mid-west as well, although I don't think to the extent to what you've got on the east coast....yet ;-) Maybe a road trip is on order? 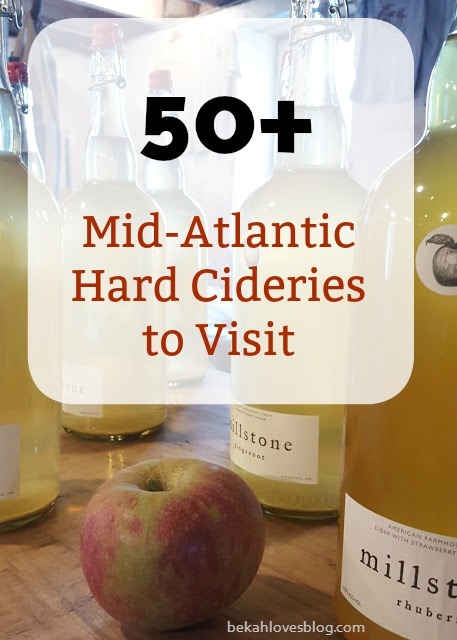 I was just in New England and people loved sharing their favorite cider spots. I see a few made your list! I don't drink coffee and I'm not a huge pumpkin spice fan, except for pumpkin bread mmm, but I do love hard cider. I had no idea there were so many different places to visit!! I know - I love that the industry is growing! Yumm! I love apple cider. Virginia & Pennsylvania have so many! :) Which makes me super excited since West Virginia borders both of those states. Yes - so many options near you! I have never even heard of a CIDERY but I love cider!! I totally wanna visit! I hope there's plenty near you. It's so fun and yummy! Hard cider is my favorite! These look like great places.